I love this cat! 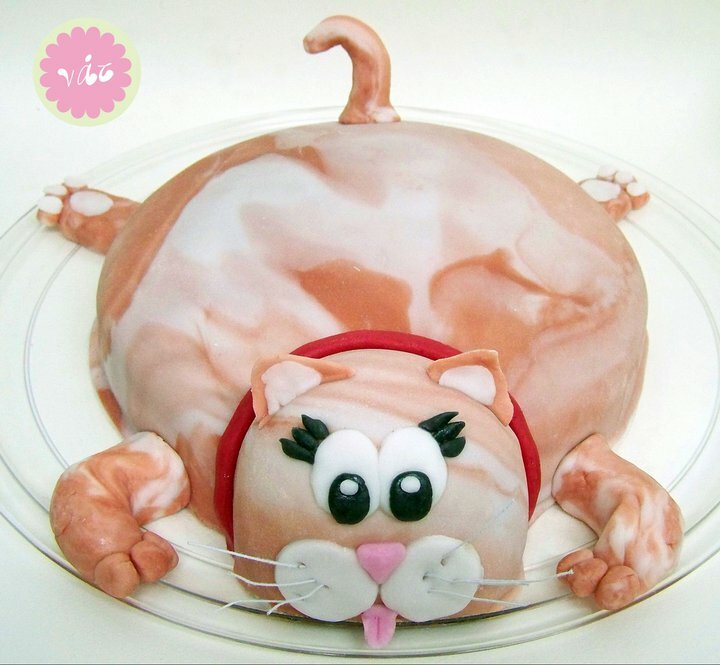 And he’s made of chocolate devil’s food cake and whipped milk chocolate ganache. 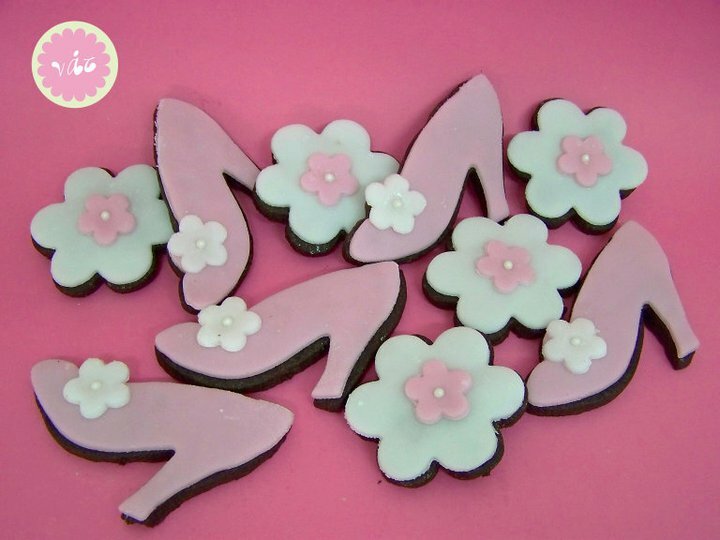 And some pretty shoe and flower butter cookies with cocoa, covered in homemade rolled fondant.